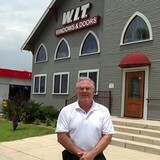 25 years of providing quality window, door, window treatment and hardware at a wholesale pricing. We carry more brands and selections at incredible pricing and we offer expert design assistance to make sure your project gets completed successfully. Fusion Cleaning is proud to offer a wide range of best quality house cleaning services in the expending Orange County residential and commercial property market in Orange County California. 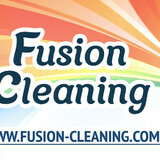 At Fusion Cleaning we customize our services to meet your needs and budget. It is our priority to create clean houses, therefore we offer personalized, precise services. To ensure your satisfaction we provide exceptional customer service, flexibility to extra tasks, meticulous attention to details. Welcome to Atlas Windows and Doors, your first choice for premium vinyl replacement windows and doors. Proudly serving Orange County, Los Angeles County, Riverside County and San Diego County, CA. Conveniently based in Costa Mesa, California and offering our services throughout the Southland, it has been a great privilege providing our premium replacement windows and doors along with our expert installation services to countless satisfied homeowners. Atlas Windows and Doors is headquartered in Orange County, family owned and operated as well as a licensed General Contractor. Our goal has always been to offer green, energy efficient products coupled with our years of experience and exemplary customer service. That’s where Atlas Windows and Doors got it’s start and what our belief system is based on; Striving to enhance our local communities, assist in making your residential improvement dreams come true, deliver premium products and services that are designed to lower the carbon footprint and always giving back. Why partner with us? Let’s take a look at our windows. Proudly manufactured right here in the USA in Orange County CA, Atlas Windows are constructed using only the highest quality virgin vinyl. The frames are strong, rigid and resist sagging that is sometimes found in other windows. Serving your window replacement needs throughout Orange County and using the latest materials in glass technology offering LowE 366 glass manufactured by Cardinal Glass. Dual glazed, dual pane, premium windows built to last a lifetime. Our windows are Energy Star Certified, have smooth gliding operation with stainless steel rollers and come standard with our "SoundMaster" technology helping to block outside noise by up to an added 70% versus other windows. Atlas Windows are loaded with great features, are premium quality, with out the high prices, and carry a full lifetime warranty. Take the leap from your windows to ours and experience the Atlas difference today. At Walnut Valley Glass, we are committed to providing homeowners throughout Orange County, San Bernardino, and Los Angeles with quality residential glass work and installation services. In fact, we have been servicing the area since 1969, steadily building our experience and reputation in the area. Seaport Windows and Doors is the right choice for replacement window and door services in Southern California. Our knowledgeable team is here to help you find the best products for your need and budget. Located in Los Alamitos, CA, we service homeowners throughout the surrounding area including Long Beach, Seal Beach, Cypress, Newport Beach, Tustin, Anaheim Hills, Laguna Beach, and many more cities. Our goal is to offer complete fulfillment to each of our customers, from the first conversation through installation and beyond. Our customer service, expertise, quality products, and professional installation is second to none. Let our 45 years of general construction experience guide you in designing and selecting the right products for your home. Seaport Windows and Doors was founded in 1991, and has grown to become an industry leader in the area for new construction and replacement window and door needs. We build our own exterior bi-folding doors and windows, to bring you both beauty and function that blends your indoor and outdoor spaces. Our focus on product development keeps us at the forefront of industry trends and changes. You can rest assured knowing that your home improvement project is being handled by the most experienced, knowledgeable, and cutting-edge window and door company in your neighborhood. Our window and door options include vinyl windows, wood windows, aluminum windows, bi-folding windows, patio doors, entry doors, moving wall systems, interior doors, and more! We are partnered with the top brands to offer a wide variety of quality products, so you are guaranteed to find the right windows or doors for your home. 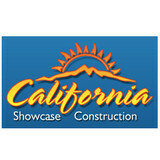 Some of our brand options include Milgard, Ply Gem, Jeld-Wen, IWC, La Cantina, Plastpro, Emtek, and Baldwin. We are a certified service center, so we take on manufacturer service work. For your convenience, we stock parts to expedite your service needs and help you avoid manufacturer service wait times if possible. Seaport Windows and Doors is part of the League of California Homeowners. We carry an A rating with the Better Business Bureau (BBB). We have had the pleasure of providing complete fulfillment to thousands of satisfied window and door customers over the years. Trust your home to us, and we will be honored to show you the same personalized service and value that our reputation is built upon. Call us today at (714) 220-3939 for your free in-home consultation! Proudly supplying Southern California with the highest quality aluminum and clad windows and doors from the top two manufacturers Fleetwood and Marvin. 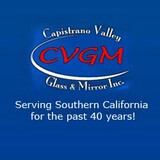 We specialize in the installation and repair of home and business glass needs. Trees trained as they grow to become custom doors & windows. The process requires five to ten years of cultivating to manage the trees to the proper size and shape. They are grown on a perfect vertical plane so as to be fitted with glass panes. George Valdez is the originator and the exclusive producer of these one of a kind creations. A large number of people who die every year from heart attacks, stroke or cancer have early symptoms that go undetected. Timely detection of these fatal illnesses can help to save many lives. Longevity truly believes in “early detection saves lives”. 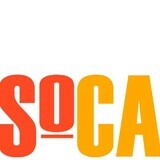 We are a family owned and operated business located in sunny southern California. Our mission is to provide you with products that we are proud to represent and nothing we would not install in our own home. We have partnered with companies that value quality and reliability as much as we do. Each and every order is customized to your exact measurements and the fabric, color, texture that you choose. We will come to you with our product so that you can choose exactly what you like in your own home. We strive to add a new touch to your home through our wide variety of window fixtures. Family owned and operated from the beginning, we are excited to welcome you into our All Those Blinds family. All Those Blinds was started by the owners of local glass company All That Glass. All That Glass takes pride in the relationships they make with every customer, always striving to better serve their customers needs. That is where All Those Blinds came into play. Working with glass and replacing many windows there began to be a trend of customers asking if All That Glass also installed blinds or window coverings. They did not at the time, yet there was a distinct need for this. Again, All That Glass went above and beyond for it's customers and opened a window coverings division - All Those Blinds! We are excited to work with you whether it is installing a new shower, window, shutters or shades!